Mardi Gras, 1912 – This image originally appeared in the Times Picayunne. 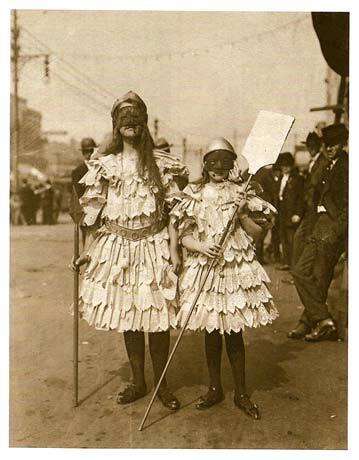 Little is known about the conditions under which photographer John Hypolite Coquille captured these two children in costume. Indeed, historians cannot even agree of the two were sisters or even girls. Look carefully, does the one on our right have a mustache painted just below his/her mask?